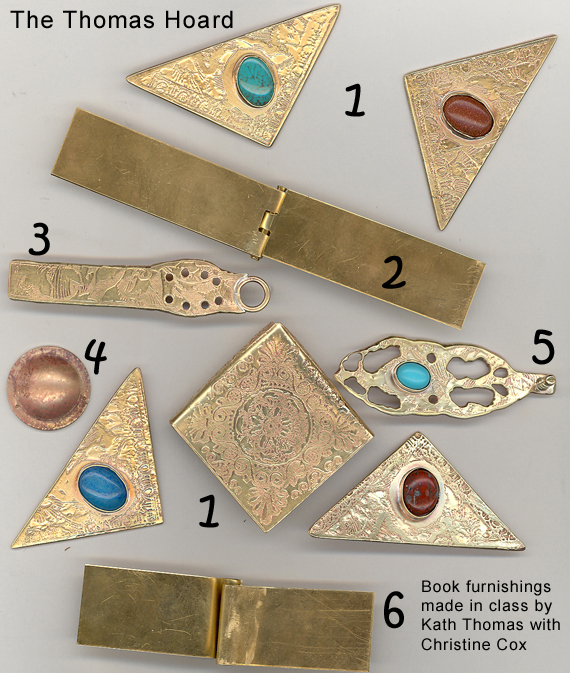 A couple of weeks ago I taught a class on Gothic-style book furniture/hardware. My student, Kath Thomas, did amazing work! In spite of having a cold, and having never worked in metal before, Kath was quite prolific and produced what I like to call The Thomas Hoard. I have to say, Kath’s energy is inspiring! Great job, Kath! Christine is teaching this class again in May, 2013. Care to join us?